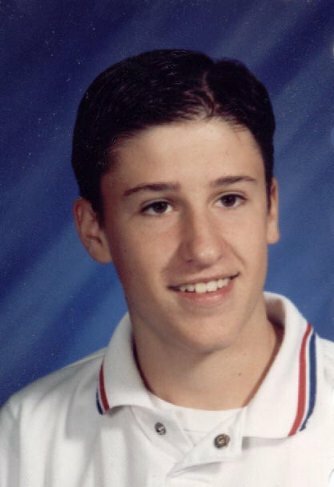 Christopher Kory Black came into our lives on September 28, 1983 and departed this life on April 5, 1999 to begin his new life with the Lord. Kory was a freshman at Van Buren High School where he was active in Cross Country, Basketball, Student Council, the Pep Club, and Future Business Leaders of America. His favorite classes included Mrs. Hager's Business classes. He enjoyed riding horses, singing, and being with his friends and family. Kory was a member of the First Baptist Church in Van Buren, MO. He was active in youth activites including RCBA Church Camp and Vacation Bible school. Kory accepted Jesus Christ as his personal Savior on April 19, 1994 and we know that he is doing perfect in heaven above. Here are a couple of poems Kory wrote about death for a Poetry Notebook Project in Mrs. Keeney's 8th grade English class. "The reason I chose death for my poetry notebook is because most people think of death as a bad thing, but death can create many different feelings. When I started this project I really didn't know that much about death, but now I know through death many feelings develop such as: anger, sadness, and gladness. Just about any feeling you can think of, death is. I liked doing this project because it helped me learn more about death." When the family of Kory Black discovered this notebook and the poems that were in his own words, we realized how much Kory knew about the death that he would have. He would have one of happiness and joy, because he would find Eternal Love and Life in Heaven. Although we miss Kory so much, we can cry with hope because we know that when our lives are over on this earth, his face will be the first we see upon entering those gates.